Hanzo’s groundbreaking Relativity App Hub integration brings the ability to review dynamic web content within Relativity’s cloud-based ediscovery platform. Hanzo, a pioneer of contextual collection of dynamic web content and a developer partner of Relativity, today announced Hanzo Dynamic Review™ for RelativityOne, a software application that is fully compatible with RelativityOne, the cloud version of Relativity’s ediscovery platform, in addition to Relativity versions 9.6 and 9.5. In 2018, Hanzo and Relativity formed their strategic partnership which brought Hanzo into the Relativity App Hub ecosystem. Since then, Hanzo and Relativity’s development teams have built upon that foundation with a groundbreaking integration that is the first to bring dynamic native review capabilities to Relativity. Today’s announcement extends that capability fully to RelativityOne. Hanzo Dynamic Review, part of the Hanzo Dynamic Archive suite, improves the review process by adding easy native-content import and dynamic native review capabilities, within Relativity’s on-premise and cloud review platforms. By achieving compatibility with RelativityOne, Hanzo provides ediscovery teams access to hard-to-capture modern data sources and extends a dynamic review solution to help ediscovery professionals uncover evidence that might otherwise be missed with static document review. These natural navigation capabilities moving from one document or section to the next at the click of a link are available in a secure, performant, and accessible environment that improve review efficiency and effectiveness. RelativityOne is the secure and performant way experts run ediscovery in the cloud. It’s backed by the functionality, customer support, and global user community that enables users to do it all with one solution. With easy to use search, analytics, and visualizations, RelativityOne’s trusted platform delivers intelligence about data, so users gain insights sooner and drive more effective outcomes. 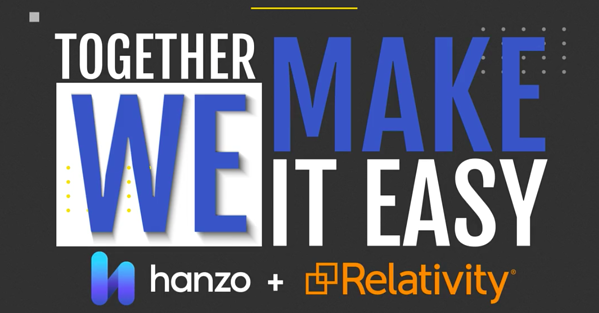 Integrations and products from partners like Hanzo are found in the Relativity App Hub, where users can pick and choose solutions to solve data challenges in ediscovery or beyond. Hanzo supports the current RelativityOne release as well as Relativity versions 9.5 and 9.6 and will continue to provide customers with the best possible service and support with all future releases. See Hanzo Dynamic Review for RelativityOne in action along with Hanzo’s new dynamic suite during Legalweek at Legaltech Booth #2301 schedule a personal meeting or request a demo. Hanzo is solving the single biggest challenge in legally defensible compliance and litigation today — contextual investigation, collection, and preservation of dynamic web content. Through one sophisticated platform, Hanzo captures and preserves team messaging data, social media engagement, and interactive web content then archives it in legally-defensible native format for analysis and review. 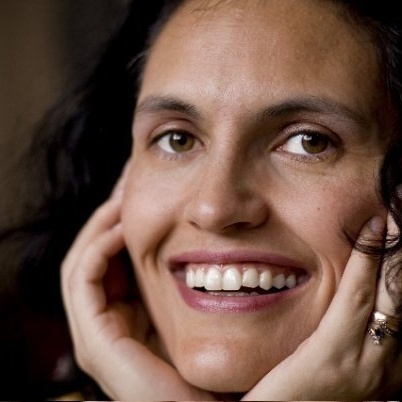 Launched in 2009, Hanzo serves government agencies, enterprises, and top law firms across the globe. Learn more at hanzo.co. At Relativity, we make software to help users organize data, discover the truth, and act on it. Our ediscovery platform is used by thousands of organizations around the world to manage large volumes of data and quickly identify key issues during litigation, internal investigations, and compliance projects. Relativity has over 180,000 users in 40+ countries from organizations including the U.S. Department of Justice, more than 70 Fortune 100 companies, and 198 of the Am Law 200. Relativity's cloud solution, RelativityOne, offers all the functionality of Relativity in a secure and comprehensive SaaS product. Relativity has been named one of Chicago's Top Workplaces by the Chicago Tribune for eight consecutive years. Please contact Relativity at sales@relativity.com or visit http://www.relativity.com for more information.